As a personal development expert, leadership facilitator and emotional intelligence teacher everything I do is linked by kindness. What if everything you did was directed by a thought or intention of being kind to yourself? 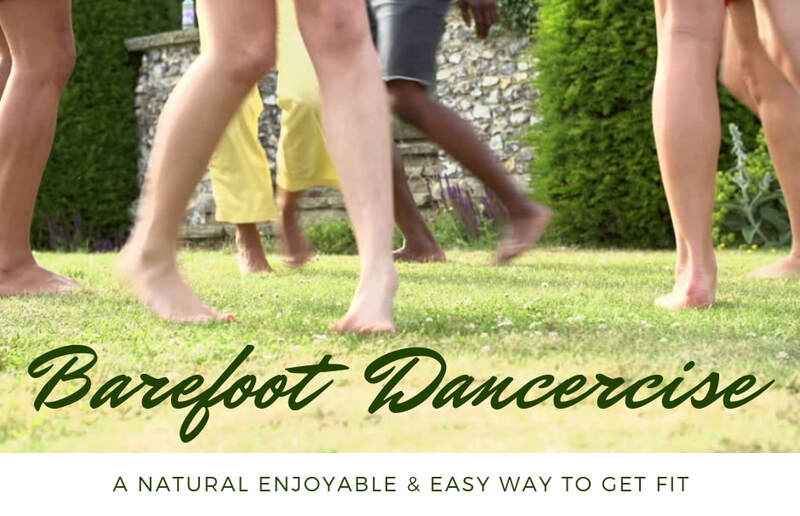 Whether getting fit doing mindful movement that is kind and gentle to the joints whilst being playful and silly to the spirit, Barefoot Dancercise is an inspiration that came from my heart to start teaching again locally where I live in Hove, East Sussex. If you are local join us by following this link for more details. I have always used music and movement in my training sessions where only a privileged few get to take part, enjoy and reap the benefits. I now intend to share these joys on a much wider scale and to make it available to everybody. 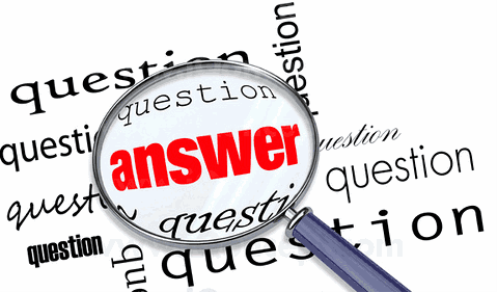 Have you ever had a crise de confidence? A random sudden no self belief and ability to move forward and do the things you'd love and dream of? I have, plenty of times and know that this is just part of our mysterious life evolution. Having been through a military coup in Chile, lost my father under the most violent of circumstances, came to England with my family as a young child as refugees neither speaking English nor being able to communicate or play with the other children, I know a lot about having confidence issues. It's taken me a lifetime of therapy, personal enquiry and every healing modality you could imagine to get to a place of 'no matter what happens, good or bad I LOVE MYSELF and I am my best friend. This is my definition of confidence as an inside job. I am super inspired to teach a process which is simple and heart-centred that inspires you to learn to be your biggest supporter and kind friend no mater what. There are tools and techniques that I have learnt that are literally life changing. Going through a difficult situation is one thing, but how you speak to yourself about it in your head is quite another - and it is THAT that can me transformed into kindness. 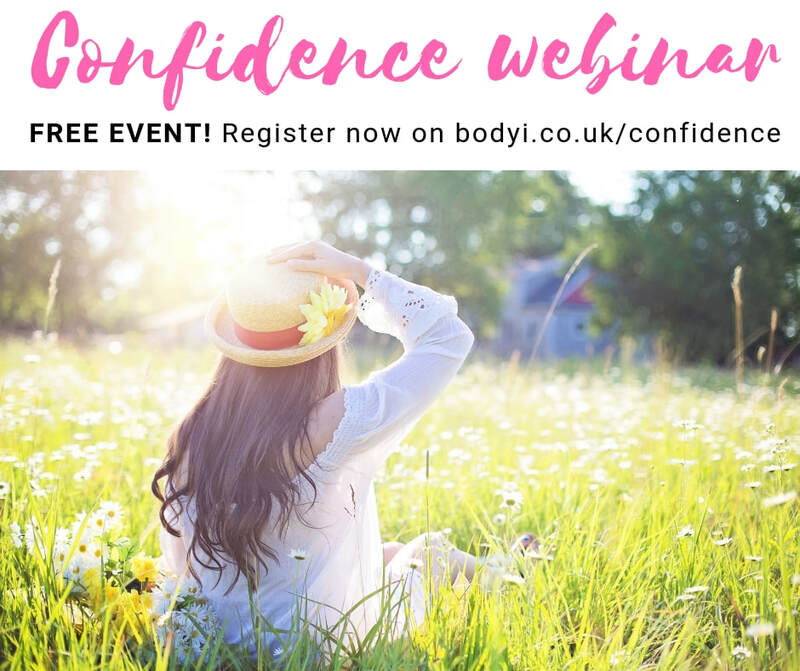 I invite you to join us on regular free Confidence webinar events from the comfort of your own home. I'm finally ready to start teaching again! Inspired by my amazingly inspirational brother telling me to act upon my 'calling' because that is God talking to me... I have taken a leap of faith and am putting on the first of what I intend to be many classes. If anyone used to do Nia with me years ago (I am she formerly known as Nia Maria) then I want you back! Come back, remember how fun it was? Let's dance our bare feet off once again and this time this studio is gorgeous and much bigger with no mirrors so just let your spirit soar and move like nobody's watching. Easy, playful, natural way to get fit without even thinking about it or working hard. I'll allow you to find your most comfortable way of moving, your speed and your way. I'll demonstrate moves as an idea, but you can do whatever you want! As long as you're enjoying yourself - you're getting a fitness effect in your body, mind and spirit. Why barefoot? So that you can feel. So that you can sense and most importantly so that your body can find its natural balance. Thick spongy sports shoes can take away sensation and so this is a really revolutionary way of doing fitness that will support healing and strengthening for your feet, ankles, knees, legs, hips, spine and whole body. Give it a go now, take off your shoes and feel the world underneath you - its really quite life changing. In 2003 I studied the Nia Technique and taught it for many years taking it to Oxford and Brighton. I also taught an adapted class at Oxford L.A. Fitness for the over 60s for 2 years which was such fun. The technique can be adapted to any level, fitness and intensity so if you're having a lazy day and feel slow then you can take your time and do it gently. If you're having a cat style funny five minutes and fancy tearing about then you are so welcome to do that too - make sure you take me with you! 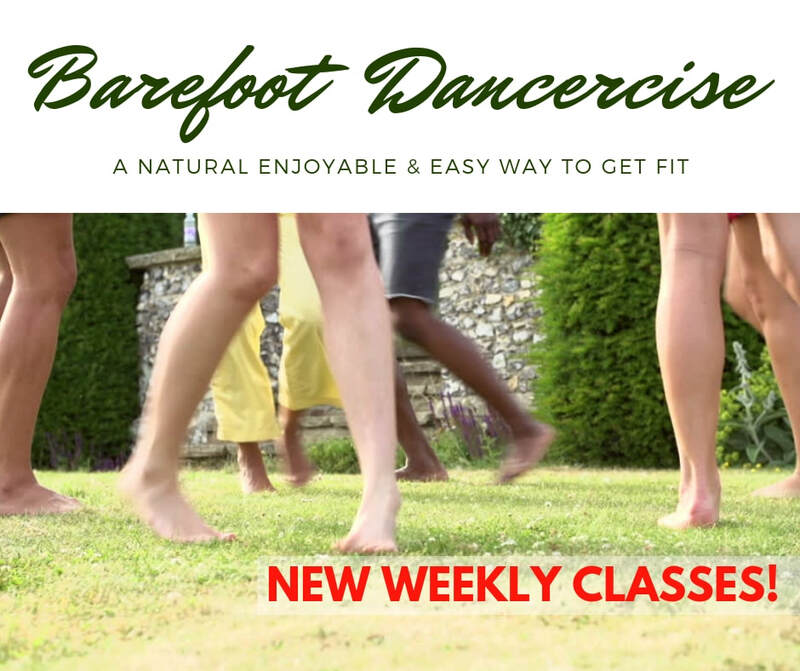 Barefoot Dancercise (amazing name created by wordsmith husband) is my evolution of movement to music facilitation which I have developed over many years under my own brand of Body Intelligence. Under this I have taught mainly on elite leadership courses as a self awareness tool for self management. It is now time to share these wonders with the larger world at large and I intend to allow this to grow however it wants to. I want to hear from you what days, times and things you'd like to learn so do share your ideas. Classes are held in a gorgeous dance studio at A.C.T. Hove which is opposite the big Tesco on Church Road but you have to go in via the side street Vallance Road (took me ages to work that out when I first went there!) and you just buzz and come to the top floor. Move, dance and get fit without any mirrors! I just invite you to be free and mess about as much as you want because nobody's watching! What has self talk got to do with leadership? We are back in full sunshine for the second edition of girls leadership week BASKET TALENT CAMP in the stunning state of the art International School San Patricio. The week is designed to give an all round experience of sport, wellness, leadership and personal empowerment to a group 32 girls aged between 8-11. I’ve been facilitating my Body Intelligence to kick off the energy games every morning and to relax, let go and sleep in the evening. One thing I found really fun is that my teaching style does not change for such a young group of participants. I’m much more accustomed to teaching senior leaders, and also more recently young adults in their 20s - and so to work with young children is a great opportunity for me to see if the work translates and works across all ages. What if your inner voice was nothing but love? 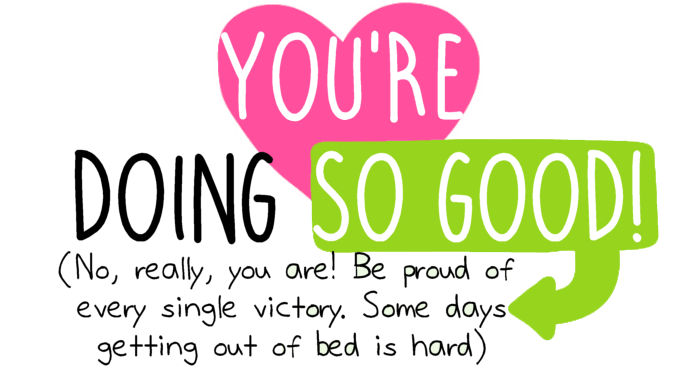 What if you were the first one to congratulate yourself every time you did something well? What if even when you did something “wrong” your inner voice was the first to comfort you with kind, supportive words? And what if no matter whatever happened, you were ok with you? This is where this boat is going and this is how I personally define leadership no matter what age. In this vein, this morning I taught a self kindness practice of the 3 Ps which in Spanish (when in Spain…) is: Palabras Positivas Personales which translates as positive words to myself. This is a simple way to set an intention for the day. I asked if anyone knew what an intention was and I think about 2 put their hands up. So I made it super simple and explained that it means in the morning I say lovely things to myself and create a nice day in my mind. I gave a personal example of the fact that this morning I woke up with tummy ache (as I can never get used to late Spanish eating times at night) and nor can my stomach. I also woke up feeling slightly nervous and not full of beans. So I set a lovely positive intention and my mood really did instantly change! It was quite remarkable. By teaching using personal examples, making myself vulnerable like that and demonstrating that its not only okay but normal to feel odd, it gives everyone else permission to just be yourself. 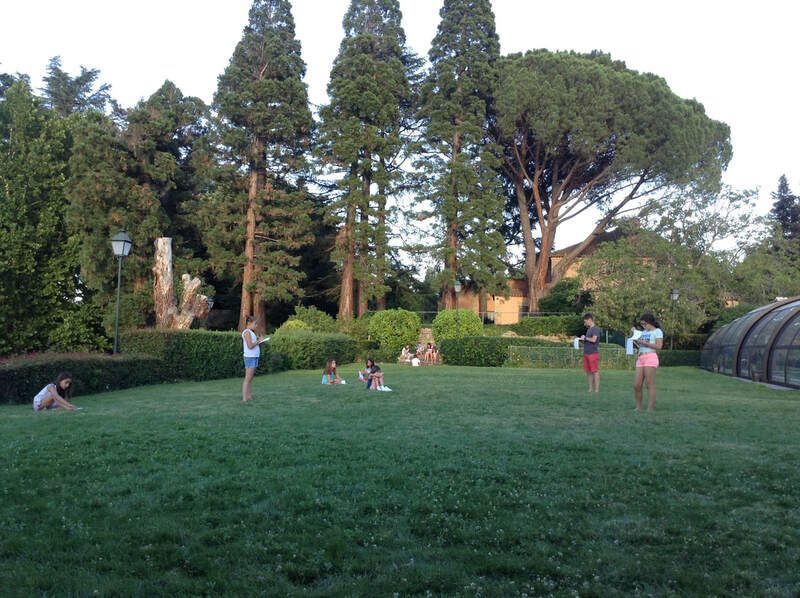 That very evening in our circle sharing many girls shared that they’d had a good day because of their personal positive intention. What happens when you offer intimate listening? About a month ago whilst having a typically deep conversation with my husband we came to an idea that is so beautiful and so inspiring that it is creating itself into something truly wonder full. We had the idea to create a spade called Our Vision where whoever was interested could reflect on the question of 'if anything were possible, what would you do/create/see? And the inquiry inspired me to record conversations and create a podcast channel as an innovation which I've never done before. I felt that by taking away the pressure of video, the two people would be able to relax more and share a more private exploration. I've now recorded 5 podcasts and I'm getting so much wonderment and amazing energy from it that I can't express it in words. It's creating its own unique space of what I can only describe as magical. Yesterday I met with Helen Thatcher and I was left floating on this lovely gentle space of what felt like unconditional love. I am interested in what's causing this. What is the ingredient that is making this happen? I think that key ingredient is intimacy. A conversation held in deep active listening. A conversation that is lasting about 2 hours on average while we usually record about half an hour. And if we had time we could easily talk for the whole day! My intention is to showcase and celebrate the person in their full glory and wonder by holding a powerful space of allowing such that they are comfortable and relaxed enough to touch upon that precious Jewel of inspiration. So what's happening to me as a cause of all of this is that I'm being showered with a multitude of blessings like never before. It's like this positive energy is feeding and nourishing me and giving me so much more than if I were just bumbling along my own life on my own. I've always believed that as a group we are more and we are connected and supported. I feel that new paradigm of 'work' is collaboration. How many times have you been taught things by being told them? You get told this model and that theory, this paper and that fact and you have to store it in your memory bank and ‘learn’ it off by heart. I am interested in a way of learning that is body-centred. This means that if you sense something to be true in YOUR BODY then you KNOW something about it - you have information about it and you have a sensory awareness of it. For example have you ever walked into a room or a place and felt strange? You didn’t know why but it didn’t quite feel right? This is your body giving a reading of the environment and communicating to you via SENSATION which is your Body’s Intelligence. Your body is communicating to you all the time. It does a great job of this because your body’s JOB is to keep you ALIVE. How big a job is that? So what your body experiencing and therefore communicating to you is very important and I suggest - an instant way of accessing some serious intelligence about any situation. How do I teach and why do I call it Body Intelligence? I teach using the communication of the body, so I create a learning context and then invite participants to ‘sense your body’ and notice what arises. From this reading of sensation you then have a KNOWING of what you perceive in relation to the learning context, or situation. We are the pink flamingos leading the parade! 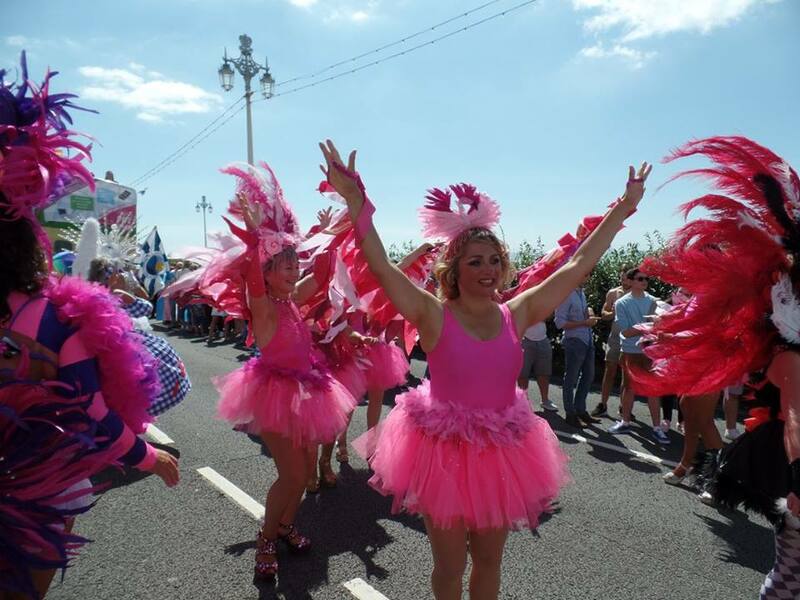 I was fortunate enough to be part of the Brighton Pride Parade, samba dancing with Brighton School of Samba. The story of how i got to be there is another blog in itself as I’ve had some mild health challenges that had made it difficult to dance for a few years up until now. I am writing this as I soak my still throbbing feet in an epsom-salt foot bath (excellent suggestion from my mother-in-law!). And yesterday saw a rite of passage of a whole healing cycle complete. I am now fit and well enough to dance, play, sing and celebrate - and my goodness what a celebration it was. I was so excited the night before I could hardly sleep! I get like that when there’s a big thing on the next day. I worry that I’ll miss it all and oversleep (not that I ever oversleep but you know how the worry monster loves to visit in the midnight hour!). Everything had been stitched up and ready to go, I bounced out of bed, put on the fantastic fuchsia pink flamingo outfit and was glamorously escorted to our meeting place by my kinder than kind husband. I felt like a 4-year-old little girl about to do her first ballet performance (pink tutu included!). I was so excited I bounced out of the car and met with the other pink flamingos and samba band of the Brighton School of Samba on a sunny Saturday morning. Everyone safety pinned up and banana-breakfasted and we we were good to go! We descended onto the meeting point on Hove Lawns near the Peace Statue and the party was UP AND RUNNING! Everyone was dressed up, posing for photos and just having a fabulous time. I think the pre-parade part is just so much fun, everyone is bursting with excitement and that latent energy is just delicious! My fellow dancer friend told me that that was her favourite bit and I can see why. Did you ever have the experience of getting ready for a night out, music blearing, make-up, hair, outfit, drink and dancing as you get ready to go out and party? That’s what it’s like multiplied by about a thousand! It was as exciting as my wedding day but without the stress of getting to the church on time (which I didn’t). When we were at the place where we all start from people kept stopping us asking for photos, I now know what it may be like to be a celeb! The emotion built as the start time of 11am was near approaching. I prayed that my shoes would hold me up and that my ankles, knees and entire body would take all the hours and miles of dancing in the hot beating sun. Soon the moment was upon us and it was time to GO! I was flooded with excited emotion as the loud samba band played their ancient earthy ancestral rhythms - the sound reverberating through all of my bones and having such a profound effect that I can only describe as an altered state of awareness. This must be of course why people go dancing to loud music so much - it is a tremendously powerful physical-emotional experience on all levels of existence no less. It takes a lot of personal power to be able to receive so much joy and love - all of that powerful positive energy directed at us, at me. 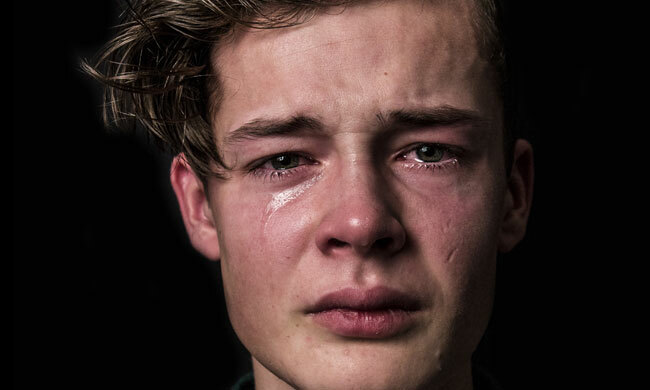 My eyes would well up with tears when I allowed myself to really fully feel it. When it got too much I’d look ahead and focus on moving forward. Sometimes I’d turn around and see the wonderful smiling joyful band playing away and all the thousands of people in the procession behind. A photo taken from a tall building really shows the enormity of it and in terms of leadership - we were second or maybe third from the front! So that was quite something! Back to the parade, all along the way I’d see so many beautiful faces and make eye contact, blow kisses and wave at them. There was one beautiful being in particular whom I’ll never forget. An elderly man with Down’s Syndrome was looking at me and emanating so much love that I almost fainted. I danced over to him and blew him a kiss and then went right up to him and said I LOVE YOU. His face and his whole being was of total love. I cannot actually find words to describe this but luckily my dancing buddy saw it and she’d felt the same. What an incredible opportunity to be in such a privileged position to receive so much love from so many hundreds and thousands of people and children, babies and dogs! Today, although my feet, legs and hips are still throbbing - it was all totally worth it and I just can’t wait till the next one. It is more than a carnival parade, for me it was a joining of hearts in celebration of our wonderful true divine nature. My work of Body Intelligence is centred around the oneness of dancing as a group and the celebration of our humanity. The act of joining together and moving, dancing, singing and being is by far the most powerful of human experiences I’ve ever had and this beautiful and sacred experience that I was so generously gifted with yesterday was yet another example of our infinite potential for sharing love. 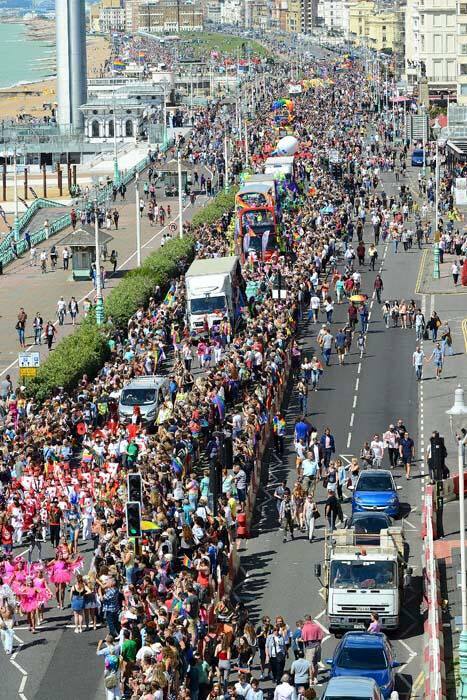 >> Also in the news: 300,000 people have joined together in Brighton for one of the UK’s biggest summer Pride celebrations. [INTRO: I am extremely lucky, privileged and grateful to be here in Spain this week teaching on a pilot leadership course for girls centred around Basketball training and life skills. This one of a kind innovative pilot program is called Basket Talent Camp, creation of Santiago Puebla Sanz, general manager, strategic coach and expert in high performance teams with his company JOINTALENT. The final day of our incredibly life-changing adventure of Basket Talent Camp saw a coming together and completion of a perfect circle. We all gathered in the Casa de Cristal, a new and innovative building set in the botanical woodland on the grounds of Puente Nuevo Gas Natural Corporate Campus (http://www.campuspuentenuevo.gasnaturalfenosa.com) for our final presentations, reverences and reflections on what has been an unforgettable and magical week. I was extremely honoured to be asked to be a panelist for a discussion about women in leadership and weaving in what the girls had experienced and learnt that week. When it came to my turn to share I elaborated on the previous comments about the wonderment, openness and creativity that is always-on in children. This light is abundant in childhood because for children, exploration, inquiry and investigation is a way of being. 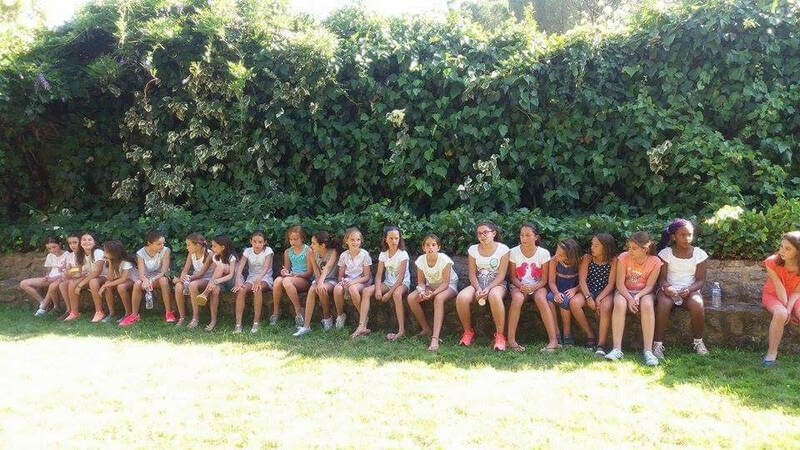 I reflected on how amazed I was, like everyone else at the depth and level of empathy, compassion and care that the girls displayed naturally for each and all. In dreaming up questions for fellow children with autism, for our guest Cheija from the Sahara and for future car design, the girls created questions that showed such maturity and a sense of 360 degree insight. What I noticed is that nothing escapes their noticing, their perception and vision. They seem to see everything and take note and also take action. This high level of others awareness I feel is an extraordinary quality that serves to unite and collaborate. This I feel is a particular asset of feminine leadership, it is the care and concern for the whole as opposed to ‘what’s in it for me’ more linear thinking. One day we had a workshop on re-writing a popular song and making it about the week’s experience on the camp. One girl volunteered a lyric: ‘we play to learn’ and upon hearing this my heart leapt out of my chest! Bingo, I thought. This just coins it perfectly. This is the epitome of childhood, to learn through play. Everything is a game, is an adventure, is creativity, is play. When and why is this magic lost? For me the final day's’ conversation was a great completion for this reason. The question of what have we all learnt from our week together for me was this; I was reminded of the majesty of inter dimensional perception that a child is endowed with. I was all the more inspired to nurture this again and again and talk, blog, teach, offer, share, inspire and motivate with it as long as I live! Today began with me teaching Body Intelligence with a super cool Madonna head mic which they found very cool. I decided today to tell the girls my story briefly of what I was doing when I was their age. When I was young there was a difficult trauma in our family and so we went to England when I was 6. I couldn't talk to the other children because I couldn't speak English and found it very difficult and I was sad and alone when I was the same age as the girls. Then my mother took me to dance classes and I remember when the music began and I started to dance I felt happier than I'd ever felt before and this helped me so much all my life. And that's why I am always telling the girls to love themselves and be their own best friend. Because sometimes life is difficult or sad and if you have your own loving support things will be so much easier. I asked everyone to know their uniqueness. That we grown ups take all of our lives to realise that we are special and unique with many lovely gifts and these are so precious. So realise this today and know your own loveliness. Take important time to discover your beauty and your light. Body Intelligence is a leadership tool that combines mindfulness, movement, energy balancing and play to connect to all of the multitude of intelligences available which are: emotional, social, mental, physical, intuition and spiritual. I blended the session to incorporate kicks, punches and blocks to music in order to illustrate this and connected to our personal power, our boundaries and our powerful YES and NO! The girls enjoyed the martial arts elements and we're still doing the moves into the evening - thankfully not on each other! 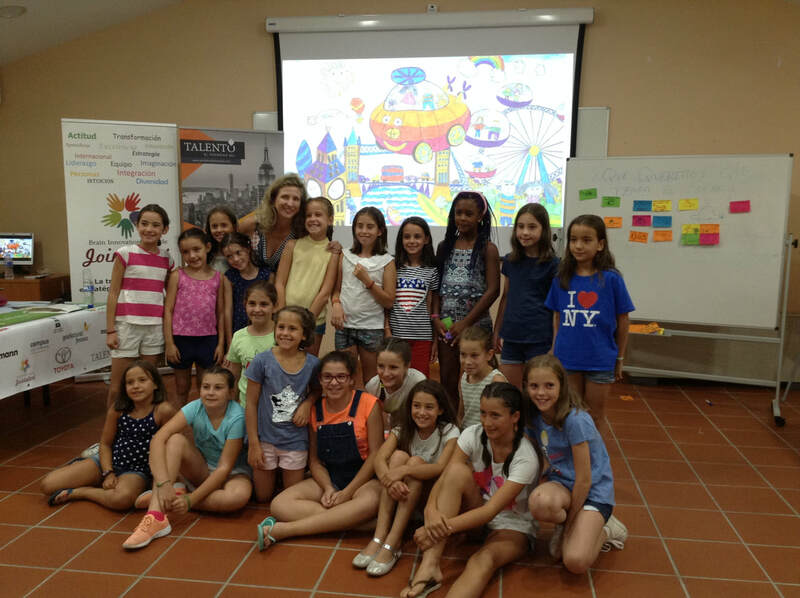 Patricia Alvarez Novoa, corporate affairs senior manager from Toyota came to talk to the girls about innovation and designing cars for the future. I found these comments incredibly intelligent! She then gave examples of innovation from a standard ice cream in a cone, to one that was pink and foot shaped! A woman scrubbing the floor on her hands and knees to the innovation of a mop! So a person has an idea of how to improve something to make life easier for people and then has the courage and confidence to take their idea to people that can make it and go for it. Then she told the story of a man long ago in Japan called Kichiro Toyota who came from a simple community in Japan. One day he went to the U.S. And to his surprise and shock he saw the roads full of cars! In Japan there were only coach and horses on the roads. He was transfixed by this and wanted to make cars too so he got one, took it apart and then made one exactly the same! He tried to sell these in Japan but had no success. He went to America and again didn't sell any either but he didn't give up, he carried on and thought deeper. Ok, in the US there are large wide motorways, and also the Americans like everything to be BIG. So he adjusted his designs while leaning from others. Eventually they came up with a design that really worked, an all terrain hybrid. So they began to build large factories to build many cars at once. Until now the brand of Toyota is no. 1 in production. The girls shared that it's important to keep trying and don't worry if it doesn't work. Don't give up. Patricia then asked the girls for help. The car designers in Japan can use your ideas! How would you like to get about when you are 40, as old as your mums (that part made me smile as I am older than that). - A self flying plane/office that carries 200 people that takes you wherever you want. The brainstorm then went into a second round. "We can't fly with the cars but think how you'd like cars to be? Most car designers are men, so we need women designers, think about it." - A car that massages you when you're going along. Wow! I loved that! Patricia said that some cars actually do that. One girl asked if it was cool, she said, yes, very! - A car that opens the door with just a sound from you. Another girl said but what about the thieves who make the sound and steal your car? Patricia said that her Toyota, she just touches it and it opens! You have to have the key in your car. - A car that is of nature that's made from trees and plants. (How enchanting) and it only requires water to go. - A car that is a bee that flies and gets pollen from the flowers and helps the bees because the bees are becoming extinct. A girl asked does it sting? - A car that brings you water or a drink. - A car that helps you to get ideas, made of rubber and doesn't use petrol. It runs on water. Patricia said that there will be hydro cars soon. - A car that has all the room of a house and goes under the water, like a cruise liner. One girl commented, so how much is that gonna cost then? She said 3 Euros. It will have a car park underneath it like the ferries and that is anti-mosquitoes. - A car that is a helicopter so you don't get traffic jams! - A normal car that if you want to drive it has a steering wheel but if you don't it drives for you. The Windows are waterfalls instead of glass. The exhaust pipe emits sweets not bad air (a girl asked about this making a mess) and she aptly responded that you can eat the sweets. It has a small window with a beach and then you can make yourself smaller and go to the beach! Amazing... It also has a luxury sofa that massages you. A car cabin like Mary Poppins bag so if you want a shower, a shower comes out. Patricia told us that there is a man in the US now who is working on a series of underground and overground tunnels to avoid traffic jams! To conclude, don't worry about being embarrassed about an idea, keep going and you'll get what you want! I found the creativity, innovation and playfulness delightful. To close the day the girls were asked to write all of the names of each participant per page of their notebook and then to think of a quality that they most like and admire about them. The rules are not to comment on physical appearance and that the words have to be positive. The pages are anonymous without your name on it so the person will just receive a pile of blessings. This was very beautiful to see them take off and sit quietly along wall banks, on the grass and deeply contemplate on how to complement their team mates. I enjoyed playing the game too as the teachers also had to do it. I am also reminded of another wonderful presence exercise that Santiago also taught which was to find a partner and look at them in the eyes and say, "I acknowledge you" and then the other does the same. I have also done this exercise with just sharing eye gaze which is also very powerful although sometimes confrontational. He then went on to invite the girls in partners to hug each other for over 5 seconds and explained that in this longer time of contact, happy hormones are released and you feel much much better. So we've been enjoying the bear hugs too! So many gifts, so much learning and so much valuable shared experience that the girls will always remember and so will we.